How to Resize a Video? In your daily life, you may sometimes come across the situation when you upload a video to YouTube, but eventually find out that the video’s quality is too low. Or when you want to add a video attachment to an email, but unfortunately realize that its size is not suitable to be added. In fact, a video’s size is not set in stone. 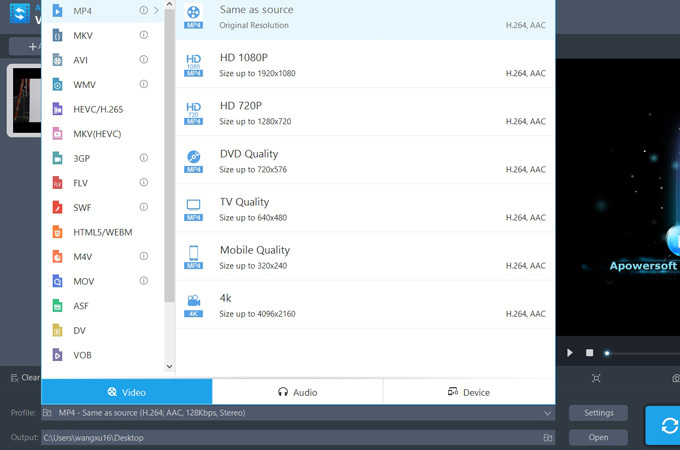 You can easily resize it with certain software to achieve a higher video quality or to limit the video size. Many video editing tools and video converters have this kind of resizing feature, but some of them hide this feature deeply in the interface, which is usually not available to be accessed in the surface for you to use. The post will introduce different tools to you, in order to help you resize a video in a way which is the most suitable to your needs. 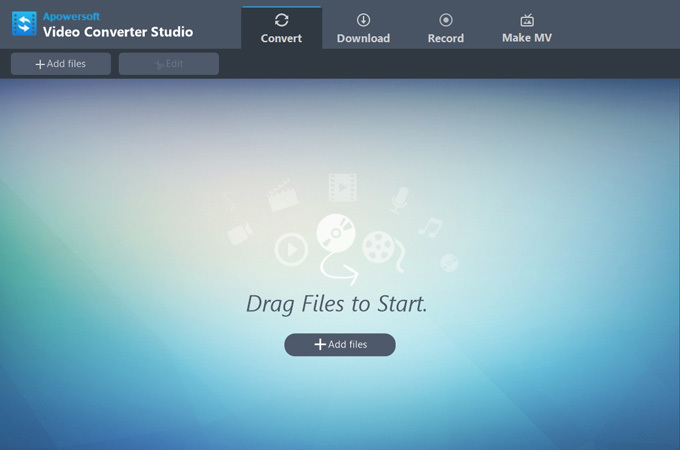 Video Converter Studio is a desktop app which is designed to convert video. Apart from that, it also features as a video editor to help you do basic video editing, such as trimming videos, cropping videos, adding watermark to videos, and so on. 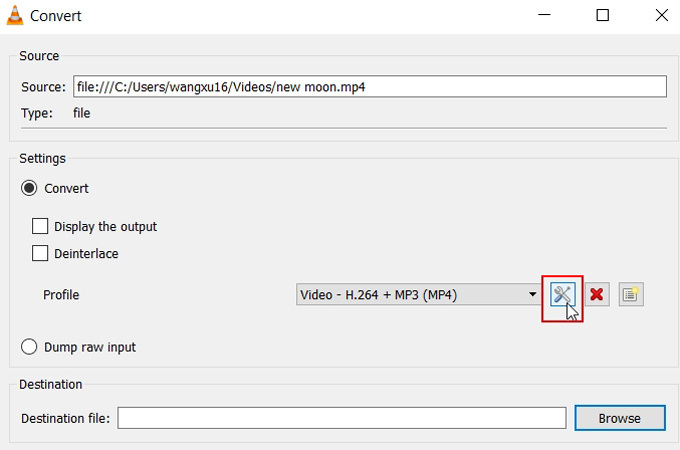 Actually, before converting a video, you can easily limit the output size with this video converter. Here are the steps on how to do it. 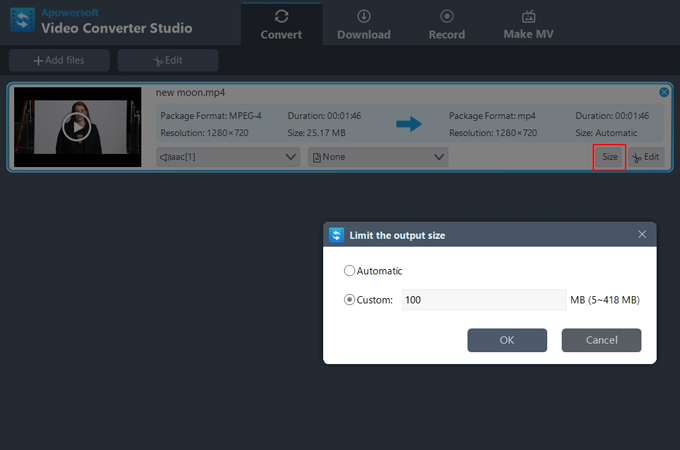 Install Video Converter Studio by clicking the button below. Click “Add files” to import a video. Select an output format and an output folder. Click “Size”, and check “Custom” to resize video file. Click “Convert” to convert the video. Easy Video Maker is an all-in-one Movie Maker. 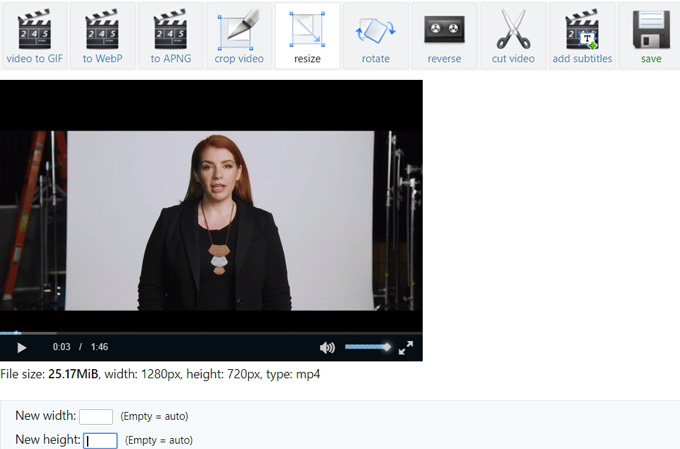 With this software, you can easily edit, create, and make high-quality videos and movies. Aside from that, this app offers you both basic and advanced video editing functions, such as cutting, trimming, splitting, joining, fading in and out, etc. However, Easy Video Maker is unfriendly to beginners because of its complicated interface and professional functionality. So we only recommend this tool to seasoned users. Below are the steps on how you can use it. Download and install Easy Video Maker. Click “Plus” icon to add a video file. Drag and drop the video to the video track. Click “Settings” > “Size Mode” > “Size priority”. Click “Render” to save the video. When uploading a video to some media platforms, you may worry about a video’s frame size, not its file size. Therefore, the software below is suggested to you. VLC Media Player is a professional video player, which enables users not only to play video file but also to do basic editing. For example, you can adjust the video contrast and brightness, crop the frames, add filters to videos, etc. In fact, it will be convenient for you to resize videos’ frame size using this tool because of its relatively powerful video editing functionality. 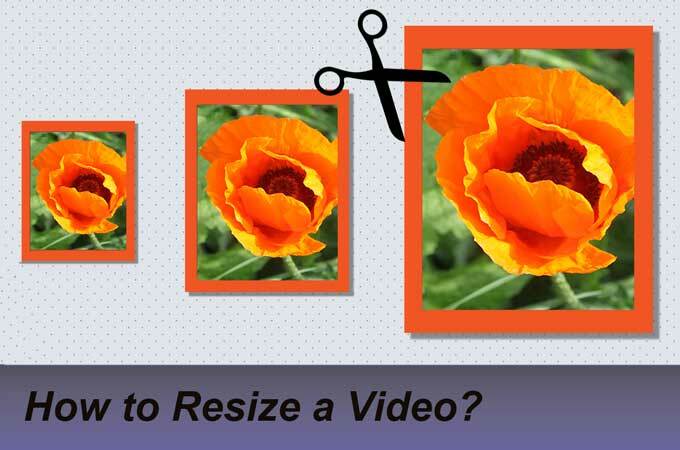 Below are the steps on how to resize a video. Install and open VLC Media Player. 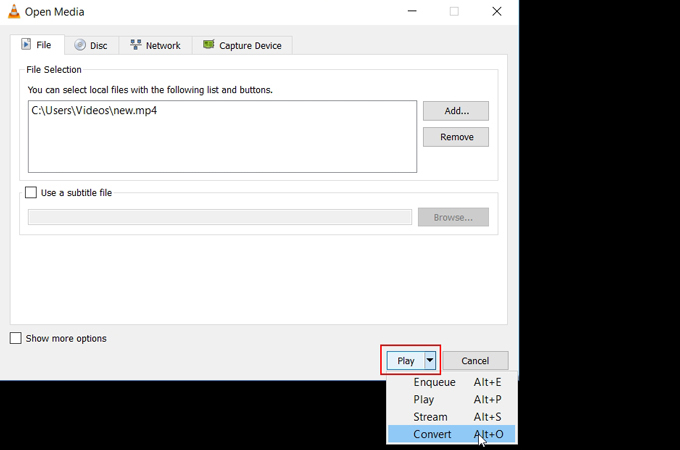 Click “Media” and choose “Open Capture Device”. Click “File”, add a video, and choose “Convert”. Click an icon next to profile to edit selected profile. 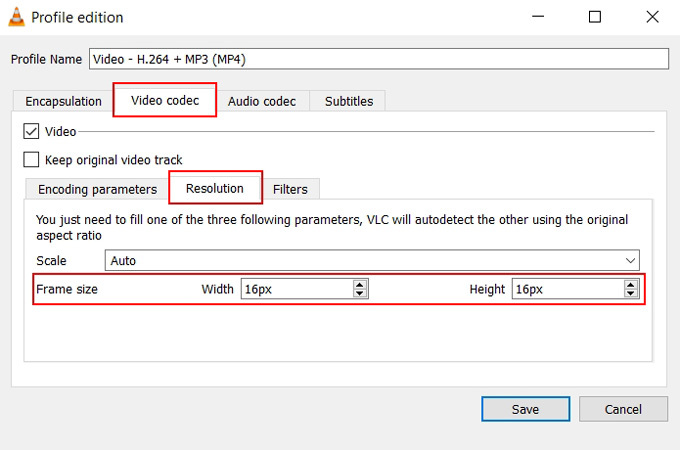 Choose “Video Codec”> “Resolution” to fill in frame size. Click “Save”, names the destination file and then choose “Start”. Search for Ezgif and enter this site. Choose “Video to GIF”> “Resize Video”. Import a video or paste a video URL, and click “Upload”. Fill in the frame width and height. Click “Save” to export the video. These are the most efficient tools that you can use to resize videos. Some of them are desktop versions for you to resize the file size, while others are online tools for you to resize the frame size. Instead of using them to resize videos, you can actually use their other features in different scenarios. We hope that now you know how to resize video file after reading this post. Rating: 4.3 / 5 (based on 37 ratings) Thanks for your rating!